Silent Sunday: 12 May 2013 | Phil – Refuelled! Fantastic close up, really interesting shot. Fabulous shot! I’m assuming it’s fungus on the bark of a tree? You’ve captured the different textures & colours really well! 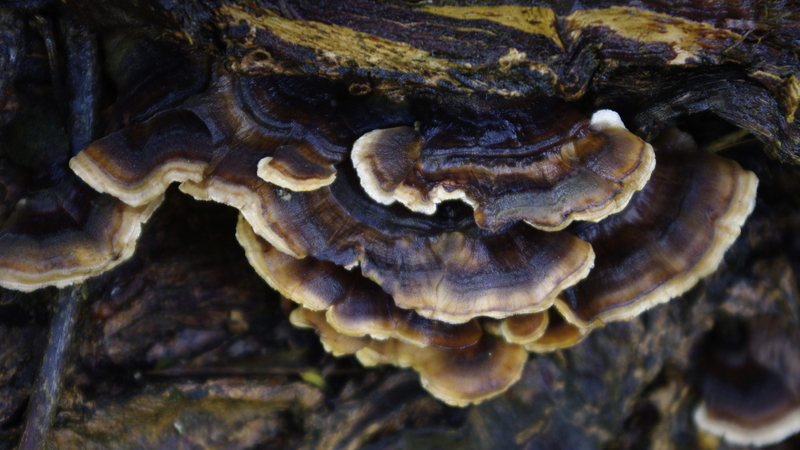 Funky fungus – great macro. So much detail, fantastic shot! Great shot. Seeing fungus growing on trees always takes me back to being a kid at a country primary school, where nature trails were the order of the day! Fungi are so interesting to look at aren’t they! Love the patterns. What a fabulous extreme close up-wow! Well done! Fabulous image, we have one growing on one of our apple trees every year. Fungus made interesting by the detailed close up! Oooh – they look so other-wordly when you see them close up like this. Great photo, wouldn’t have thought to look for that myself, I must miss so much!